Natalie Cilurzo from Russian River Brewing Co. is back on the program today, along with Peter from Stumptown Brewery and JC Fluger with J Christopher Rubs. Steve Jaxon, Mark Carpenter and Herlinda Heras mention Wilibees in Petaluma and Santa Rosa as a great place to taste a great varieties of beer and whiskey. Tuesdays they have tacos, Saturday they have bands. 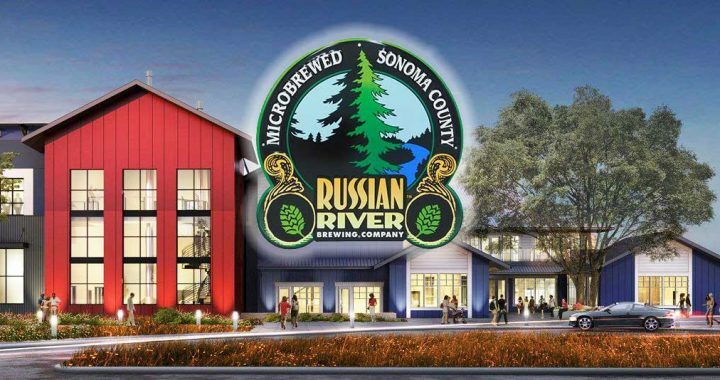 Peter tells about their 16th annual Russian River Revival and Cook-Off on Saturday August 18, from 1-5 PM under the bridge at Monte Rio Beach. Natalie Cilurzo is back on Brew Ha Ha. Today she was a keynote speaker at the CFO of the Year awards in San Francisco. She brought a beer called “It takes a lot of great beer to make great wine” that Russian River Brewing Company makes. Natalie says that all during harvest, the workers like a cold beer (or six). This beer changes a little bit every year, either a lager or an ale. It’s low alcohol and brewed to be refreshing. It’s available in bottles and on tap at their tasting room. Mark Carpenter says that the Pale Ales have lots of subtle flavors and beautiful aromas while being lighter in alcohol. Natalie also brought their spontaneously fermented beer. It’s naturally fermented. They don’t add any yeast. They use a large wide flat tank, called a cool ship. They let it sit overnight and whatever ambient yeast is in the room is all it gets. It’s a bit sour, although this is very balanced. This one is Vinny Cilurzo’s favorite batch. They will have one big cool ship on the east side of the new brewery. This will allow them to take this style of beer to the next level. The 4th Annual California Craft Beer Summit in Sacramento will be in early September. Natalie is on the Board of Directors of the CCBA. There will be speakers, an expo hall, like a trade show, then it ends with a beer festival on the steps of the Capitol. It has grown every year and attracts guests from abroad. Greg Cook from Stone Brewing Company in San Diego will be the keynote speaker. Anyone can come to the trade show. It’s great for “civilian” drinkers who want to learn about brewing. Mark Carpenter spoke at it a few years ago, with Fritz Maytag (who founded Anchor Brewing). JC Fluger is also in today. His Jay Christopher Company was founded in 2015. He makes spice rubs. He started the project a little over 10 years ago. He noticed that when shopping for meat seasonings, most started with salt or sugar. He didn’t like that so he made his own and got good at it. He would bring his samples to his friends in the neighborhood and they were a hit.